Benson Henderson from #5 on 1/19/2016. 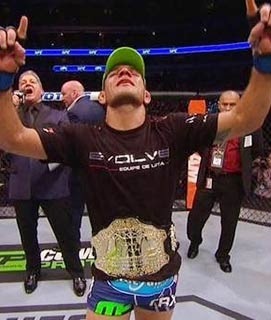 Khabib Nurmagomedov from #2 on 4/20/2015. TJ Grant from #4 on 5/26/2014. Bobby Green from #12 on 11/23/2015.